At a glance, there’s only a thin line that separates Watch Dogs 2 from GTA. A thin white line, extruding from the phone perpetually in your hand, that hops between potential hacking targets – traffic lights, SUVs, manhole covers, voicemails – with an eagerness that borders on impatience. It’s a roaming cursor that represents an invisible layer of interaction GTA doesn’t have, encouraging you to stick your finger in Ubisoft Montreal’s simulation and give it an experimental waggle. The trickster god in the machine. Read more: the best sandbox games on PC. You’ll have seen that same line drawn all over Ubisoft’s promotional shots, zigzagging across those first images until they resembled geometric puzzles. But, to some degree, that promotional campaign was in vain. Watch Dogs 2 sold a fraction of the copies its predecessor did at launch, and it didn’t come as a total surprise. In the months before release, we’d noted alarmingly low reader traffic on previews. It wasn’t just that buyers were wary of Watch Dogs 2 – they didn’t even want to hear about it. The explanation? Watch Dogs 1 had enjoyed frenzied anticipation but an equally frenzied backlash, over a leaden leading man, wonky tone and failure to match the promise of its first E3 demo. 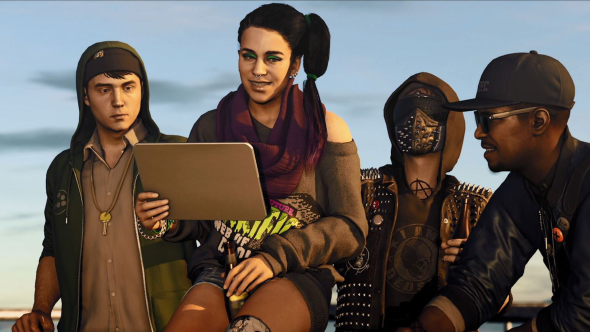 Watch Dogs 2, it seemed, was being punished not for its own wrongs but for the comedown its predecessor had induced years before. Long-term sales have been better, however, and I think that’s in part thanks to a groundswell realisation: Watch Dogs 2 is actually good. Really good. I’m here to make that case. To tell you that the sins of the father – or perhaps the vigilante uncle – are not the sins of the child. That this is the most playful and free Ubisoft have been since Grow Home, and that Watch Dogs 2 demands to be played even now, in the year of the open-world renaissance. Let’s start, as every Watch Dogs 2 mission does, with that phone. Driving missions are accessed through an Uber-like app called Driver: San Francisco. It’s not a name plucked from the air, but a wonderfully upfront nod to Driver studio Ubisoft Reflections – who expertly overhauled Watch Dogs’ driving model for the sequel, and built their own lower-res version of San Fran just five years earlier. Reflections’ Driver: San Francisco had a ludicrous premise in which, and this still feels absurd to write, series protagonist Tanner dreamt the events of the game in a coma – lending him the impossible ability to float up, out of his car and body, and into those of other drivers on the road. 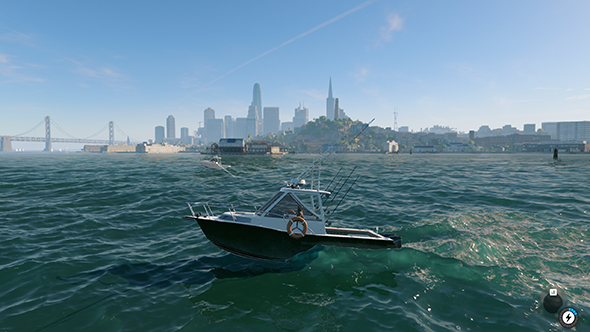 While Watch Dogs 2 clings at all times to a kernel of reality, there’s more than a little of Reflections’ flights of fancy in its own vehicle hacking. While Watch Dogs 1 restricted vehicular fiddling to raising forklifts or spinning the dials of a helicopter, the sequel enables full directional hacking of anything with a motor – left, right, forwards, back, or any combination thereof. Though I’ve never quite managed it, I’m now driven by a belief it’s possible to pull off a perfect parallel park by remote control. It all goes down at hilariously high speeds, wheels screaming in such a way as to turn the heads of any NPCs in earshot. There’s an illicit glee to firing a sports car through the front window of a showroom and off down to the street; to cause so much chaos at close hand and yet not be held to account. When you climb into a car, the game’s roaming pointer changes priorities – eschewing pedestrians in favour of pointing out trucks that might make meaty obstructions for your pursuers, or unwitting police patrols you might send on white knuckle drives down the beach and out into the beautiful bay. It’s a mechanic that encapsulates the series’ spirit of anarchic play – so much so that, in writing this piece, I’ve had to check and double check that it definitely didn’t appear in Watch Dogs 1. It’s become impossible to imagine the series without it. In retrospect, and I’m sure hindsight grants Ubisoft Montreal a clarity bordering on eagle vision, Aiden Pearce was an obvious mistake – a total mismatch for Watch Dogs’ premise. Here was a man who held a spellbook that allowed him to turn a whole city to his will. Yet he couldn’t find any joy in it. What’s the point in being a trickster god if you can’t laugh like Muttley while you hack? 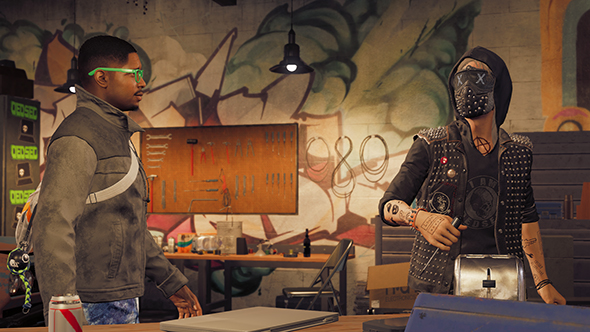 New protagonist Marcus is the antidote – the right virus in the right place, with an energy, empathy and sense of fun that sets the tone for the rest of Watch Dogs 2. He’s a character with the words “wrongfully convicted” in his background, but for whom the concepts of brooding and revenge are refreshingly alien. He laughs at bigots, frowns on trolls and Swatters, and picks up the (pretty decent) DedSec cast after every setback. He is, in short, a boundless bag of enthusiasm you could well imagine running around San Francisco for hundreds of hours without ever stopping to eat or sleep. When Pearce does make an appearance in Watch Dogs 2, it’s akin to that of GTA III Guy in San Andreas – a comically mute cameo from a throwback who no longer belongs. It matters that Marcus is a genuine underdog: an Oakland native racially profiled as teenager. It’s because of him that Watch Dogs 2 stands in sharp contrast to the recent single-player Tom Clancy games. The Division, for all its subtle environmental storytelling and anti-capitalist overtones, found soldiers shooting starving looters in the streets – before looting their bodies in turn. And I’m sure the narrative director of Ghost Recon Wildlands would tell you it’s an ambivalent look at US covert interventionism – perhaps somewhere in its design doc it is. In reality, you lead a handful of horribly crass “oorah” types in conquering a South American country. Where Ubisoft open-worlds are otherwise at risk of becoming tone-deaf, it’s Watch Dogs that feels in step with the world. Imagine saying that in 2014. Ubi Montreal made the right move by upping sticks to San Francisco. There, the studio’s commentary about the surveillance state could be interlaced with stories about personal privacy – and perhaps more pertinently, they could make a Big Bad of Silicon Valley. Watch Dogs 2 has analogues for all the real-world social media and App Store giants, and given the unpleasant real-world revelations that seem to pour out of the Valley at the moment, it feels deeply satisfying to poke a finger in the eye of figures like Dušan Nemec, Blume’s hyper-conservative sociopath and yoga enthusiast. 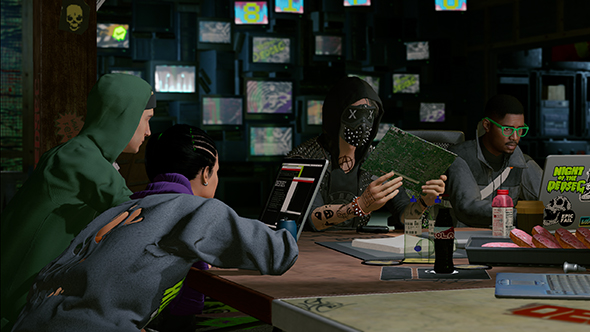 As it develops, Watch Dogs 2’s plot becomes a cathartic takedown of the kind of people who often feel frustratingly out of reach in our world, even as they claim a stake in our private lives and personal data. 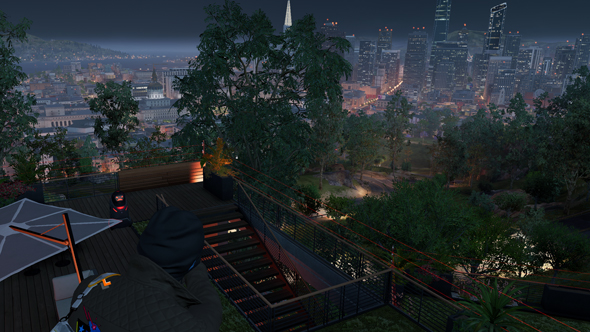 It’s a righteous vibe only helped by Watch Dogs 2’s range of viable non-lethal options. In light of Marcus’ reckless-yet-benevolent attitude, they feel like the canon way to tackle the game. Open-world narrative designers often have a tough time ensuring their intended themes are followed through. Often a main quest will have a message that doesn’t match the far lengthier, moment-to-moment map-hoovering that falls in between. But Ubi Montreal lace their themes credibly through San Francisco – so that even a simple side mission can turn up a conflict between app drivers and disgruntled taxi veterans. In fact, an awful lot of the game’s structure speaks to the studio’s experience with the genre and mistakes they’ve learned from Assassin’s Creeds past. No areas are cut off from the start, and missions are split into discrete chunks that don’t place unreasonable demands on the player’s time. For once, the freedom inherent in the genre’s premise isn’t compromised by stricture in design. Watch Dogs 2 has been thrown into weird context by the open-world successes of 2017; the ones already eating up everyone’s time. But perhaps that only makes it more vital – the last of a more traditional style of open-world worth celebrating, before the arrival of the new worlds Zelda and Horizon are destined to usher in. If that last word comes from Marcus, a troubled genre will be all the better for it.